Cruising is a great way to see the beautiful Mediterranean and coastal life in Italy. However, many cruisers are surprised that their ports of call are so far from the major cities they want to visit (Rome and Florence particularly). Additionally, many travelers want to avoid the prepackaged cruise line excursions, but they aren't sure what to do with only 12 hours in port. That doesn’t mean, though, that you have to miss the wonders that Italy has to offer. You’ll just need to do a little planning before you go. That's why I created the Guide to Cruising Italy. 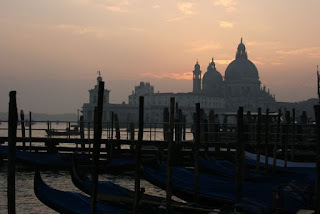 Each of the links below takes you to a page about one of the major cruise ship ports in Italy. I've suggested an itinerary for each city with restaurant suggestions, tips for avoiding lines, a guide to hiring local guides, and a map with the highlights of each city marked. Enjoy the best Italy has to offer! Thanks for this guide. Cruising Italy would be a wonderful travel experience.